Just about everyone owns couple of flash drives these days, but ultra-portable flash drives are not yet that common. I purchased a Sony Micro Vault Tiny flash drive about two years ago and unfortunately after a long time of being handled roughly, it physically cracked. While looking for a new ultra portable flash drive I came along the Super Talent Pico. I got a hold of a unit about a week or two ago and I am quite impressed with everything from the read/write speeds to durability. The flash drive’s 8GB storage capacity is probably the most notable aspect. And for those wondering, this is a standard flash drive and it will fit into any USB 2.0 port on your computer without any adapters or other equipment. The main reason for purchasing an ultra-portable drive is to be able to carry it on you at all times without having to worry about extra baggage. The Super Talent Pico allows doing just that. 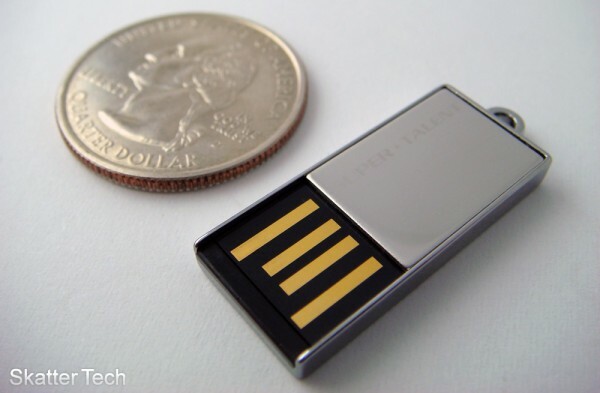 The flash drive is slim enough to fit into a wallet without any noticeable bulge. Others may prefer to attach it to a key chain with the included chain. 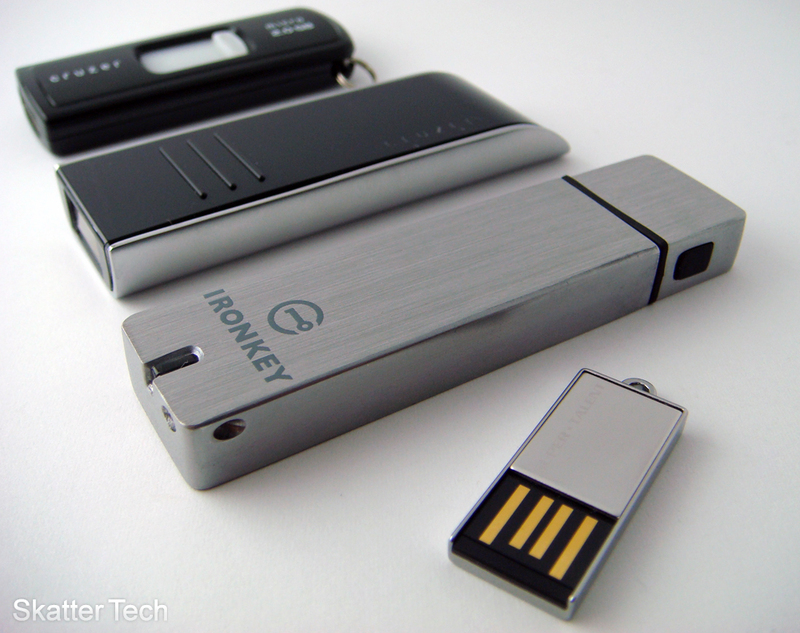 The flash drive is quite robust and won’t bend even the slightest amount even with a good amount of force. As a bonus the drive is completely waterproof so you can be sure that your data won’t be lost if it ends up getting drenched. There are no movable parts or caps, the front of the Pico fits into the bottom portion of a USB port. Not only is this drive small, but it looks pretty stylish too. As for performance, the drive attained an average of 22.0 MB/sec transfer rate with an access time of just .8 milliseconds. The Pico-C was on par with the performance of the SanDisk Cruzer Contour which reviewed recently and was much faster than the SanDisk Cruzer Micro. Despite the tiny size, this flash drive is probably now one of the fastest drives I have used. Regarding drawbacks, there are a few I should mention. First the drive lacks an LED indicator meaning you should always eject the drive in your computer prior to removing it since there’s no way of knowing whether any data is being transferred. Second, the drive is often tight and hard to fit into certain USB ports and exerting force might be required, which is never a good thing. Third, I noticed that with certain powered USB hubs, the drive heats up to very high temperatures making it almost impossible to hold for a few seconds. Despite these issues, the Pico won’t cause any problems for most owners. The horribly simple packaging might worry some regarding the quality of the product; however my experience proved not to disappoint. The drive is actually quite affordable; the 8GB model I reviewed is available online for as low as $29. Super Talent also manufactures 2GB and 4GB models which are available for just $10 and $15, respectively. The Super Talent Pico (C) will produce the “wow factor” just about any time you pull it out, has a large storage capacity, great performance, and is fairly cheap so you’ll get just about everything you can ask for in this tiny package. id love to win one of these drives.